It's billed as the line-up of best musicians you've never heard of, and this year's WOMAD Festival includes a huge variety of headline acts who are famous around the world – but not here. The festival takes place at Charlton Park in north Wiltshire over the last weekend of July, and 40,000 fans are expected to attend. Festival organisers made the first announcement of line-up this morning (THU). Alongside the American inventor of funk, George Clinton, African music superstar Baaba Maal and French-Lebanese trumpeter Ibrahim Maalouf will be singer Aziza Brahim, who escaped the refugee camps of the Western Sahara and is now a rising star of the world music scene. So we're assuming you've heard of George Clinton - the man who invented funk and brought the world such 1970s hits as 'One Nation Under a Groove'. If ever there was a man and band who know how to get a party started, it's surely George Clinton Parliament Funkadelic. The commander-in-chief of the psychedelic end of the funk spectrum, George has been an extraordinary showman for the best part of half a century now and shows no sign of taking his foot off the gas. Come July, he'll be putting one festival under a groove, for sure. "It would be ludicrous to think that we are new to this, we do this cos we got that doo doo." But the rest of the WOMAD line-up might not be as familiar to music fans in Britain. It's the tenth festival at Charlton Park since WOMAD moved back West from Reading in 2007, and for such an important milestone in WOMAD's 34-year history, the festival welcomes the return of the Senegalese musician, statesman and icon Baaba Maal. Since making his WOMAD debut several decades ago, Baaba has become one of African music's most globally celebrated superstars – as well as being the recipient of the ultimate accolade: becoming a castaway on Desert Island Discs. His performances on our stages are always powerful occasions. "I'm so excited that my new band will finally experience the incredibly diverse and inspirational festival that is WOMAD. It's always such an incredible weekend," he said. When his playing isn't adorning the records of Sting, Salif Keita and Amadou & Mariam, the French-Lebanese trumpeter Ibrahim Maalouf is busy collecting plaudits and acclaim for his own work. A beautifully expressive player, this is a man who adds Arabic flavours and textures to the jazz trumpet canon. His performance promises to enchant, beguile and inspire in equal measure. 3 Hot 8 Brass Band (US) Guaranteed to raise the roof wherever they play, New Orleans' magnificent Hot 8 Brass Band are currently celebrating their 20th anniversary as one of the city's hardest-blowing outfits. Expect a set of many highs, including their takes on Sexual Healing and Ghost Town. 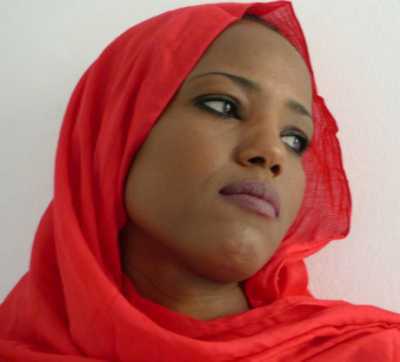 4 Aziza Brahim (Western Sahara) knows what it's like to make music from adversity. Her songs are shot through with the bitterness of life in the refugee camps of Western Sahara, albeit enhanced by the warm colours of her adopted home of Barcelona. "We're also delighted to welcome the latest incarnation of Sidestepper," said a WOMAD spokeswoman. Originally just a producer (Richard Blair) with a flair for fusing Colombian vocals with firing electronics, the band have since shifted towards a more percussive sound, as heard on their new Real World album Supernatural Love. Another artist to play a significant role in Real World's evolution was the Celtic fusionist Martyn Bennett, who died tragically young in 2005. The Grit Orchestra will revisit Martyn's magnum opus, the album Grit, ambitiously setting the work to a full orchestration. The Congolese polymath Baloji (rapper, poet, composer, actor, video artist...) represents the throbbing pulse of Africa's current musical output, his sharp sense of history and heritage meshing brilliantly with up-to-the-minute electronics and words of defiance. In recent years, several veteran musicians from the golden age of African music in the 1960s and '70s have grabbed some belated attention from the wider world. The sweet-voiced Ghanaian singer Pat Thomas is the latest to bathe in the glow and he'll be bringing his groove-heavy highlife and Afrobeat sounds to Wiltshire in the company of his Kwashibu Area Band. 9 Desert Slide (India) Another veteran musician is the former Ry Cooder collaborator VM Bhatt whose latest project, Desert Slide, showcases how the blues sound in the wide-open expanses of Rajasthan. Bhatt is the inventor – and thus naturally the world's leading player – of the mohan veena, a beautiful-sounding creation that's somewhere between a traditional Indian stringed instrument and a Western slide guitar. This Is The Kit is the shape-shifting, 6 Music-approved musical alias of Kate Stables, whose delicate, warm songs sound equally effective played in an acoustic duo or with a rockier full band. Guy Garvey was an early fan, declaring that the second This Is The Kit album, Wriggle Out The Restless, should have been nominated for the Mercury Prize. Exhilarating London five-piece, fusing Congolese guitar, Gambian kora, Mandinka percussion and UK electronics. Cameroonian troubadour with a gorgeous woodsmoked voice and a bagful of skin-pricking tunes. Soft-voiced, cello-playing singer-songwriter from Brazil via Paris who's been described as "the bossa Joanna Newsom". Terrifically lithe and dextrous traditional trio (fiddle, banjo, guitar) from the Canadian stronghold of Celtic music – Prince Edward Island. This tradition-protecting trio from Belarus blow plenty of life into handed-down folk tunes, aided by an arsenal of 50 (!) instruments. The owner of one of the most distinctive voices in fado, the deeply mournful folk music of Portugal. Guinean guitarist and bandleader who applies a contemporary edge to that timeless, liquid West African sound. Dizzyingly brilliant, hurdy gurdy-enhanced folk supergroup from Poland setting dark fables to exhilarating tunes. Musically ambidextrous duo from Tel Aviv with a very fine line in noirish indie-pop.